Plot Synopsis: Six months following the death of the Man of Steel (JERRY O’CONNELL), the world has changed and with the crime on the rise and the Justice League not only spread thin but not nearly as effective without Superman, four Supermen have suddenly started showing up: Superboy (CAMERON MONAGHAN), a clone created by Lex Luthor (RAINN WILSON); Cyborg Superman (PATRICK FABIAN) who possesses some of Clark’s memories… and a quarter of his face; The Eradicator (CHARLES HALFORD), a vicious and violent version and who has Kryptonian origins; and finally Steel, created by former LexCorp scientist, John Henry Irons (CRESS WILLIAMS). Wading through who the real Man of Steel is, and what happened to his body after it disappeared, is Lois Lane (REBECCA ROMIJN) who has found a new purpose. 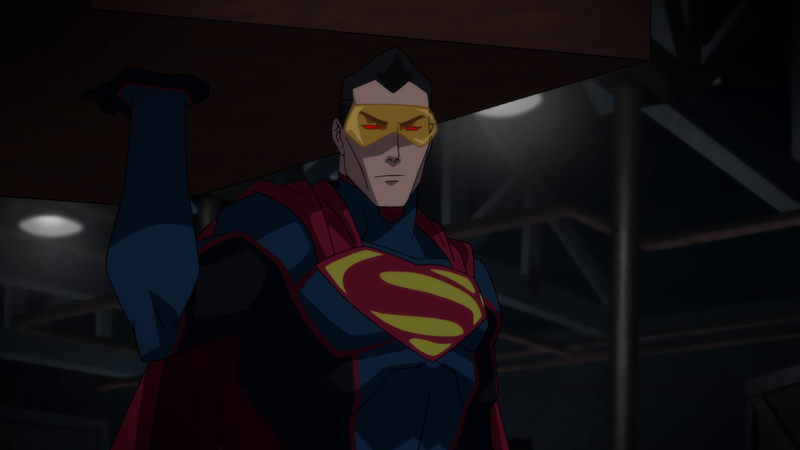 Quick Hit Review: Reign of the Supermen is the conclusion to the Death of Superman saga, the first part I absolutely loved and felt was one of the better in the DC Animated Universe, perhaps only behind The Dark Knight Returns animated film. This second part was… fine? I can’t say I wasn’t entertained and the animation is still rather strong, unfortunately the story was a bit thin. 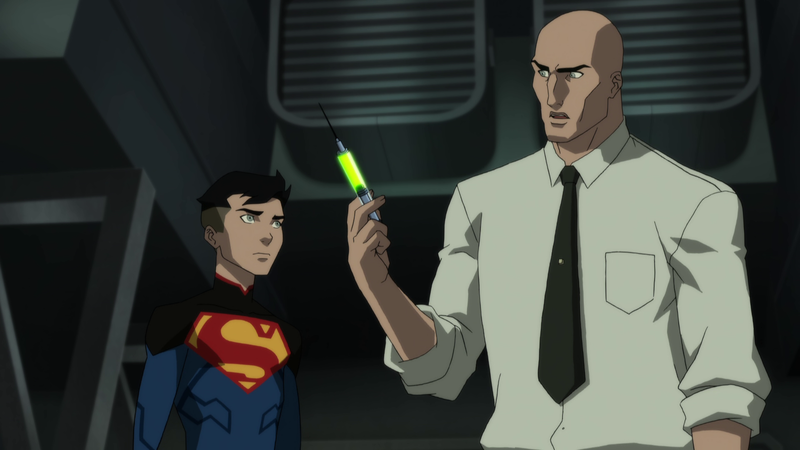 As I already mentioned in my Death of Superman review, I did generally enjoy the voice acting. 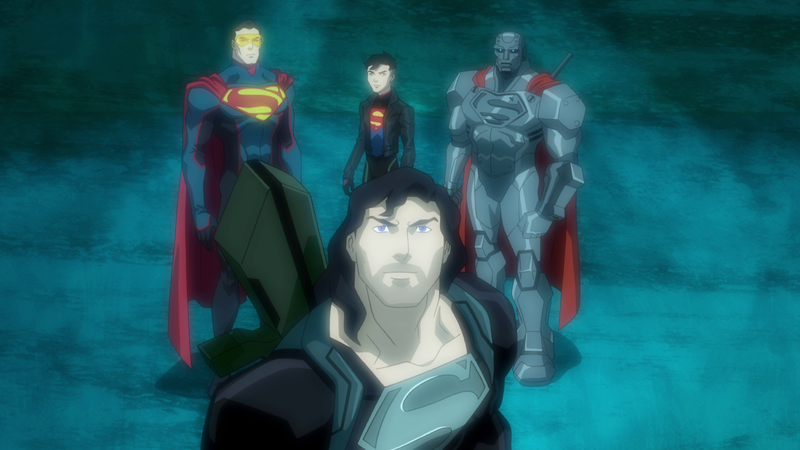 Along with the returning members within this DCAU line-up — Jerry O’Connell (Superman) Jason O’Mara (Batman), Rosario Dawson (Wonder Woman), Nathan Fillion (Green Lantern), etc – Rebecca Romijn voicing Lois was quite good as were Cameron Monaghan (Gotham) and Cress Williams as the Superman wannabes. The one drawback I had was Rainn Wilson voicing Lex Luthor. I’m still not fully on board as a part of me still hears Dwight in there, but this go around it wasn’t quite as distracting, perhaps I’m just getting use to it. 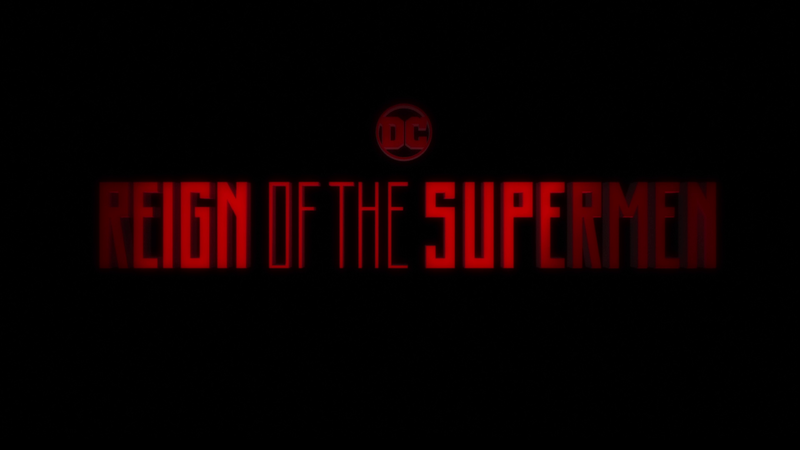 In the end, this was an entertaining film that probably better works within the two part story and within DC’s animated movies it’s probably in the middle with the others within the connect DC Animated Universe, which in of itself is still solid filmmaking, and this still would have made a great live action feature film. This release comes with an embossed slip cover and inside is the redemption code for the Digital HD copy. Features are on the lighter side, perhaps saving the best for the eventual Deluxe Edition, but we get Lex Luthor: The Greatest Nemesis (16:08; HD) on the character and his history with Superman, a Sneak Peek (9:29; HD) at Justice League vs. The Fatal Five; and two Bonus Cartoons (Superman: The Animated Series – “Heavy Metal”, Justice League Unlimited – “Panic in the Sky”). 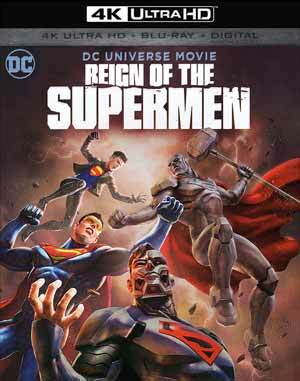 Warner Brothers releases Reign of the Supermen onto 4K UHD and Blu-ray and it’s pretty much on par with the video for Death of Superman, colors are vibrant throughout and fairly bright boosted by the included HDR. There were no noticeable bouts of banding on the 4K while in some scenes were apparent on the Blu-ray disc, however nothing I’d say was all that distracting. 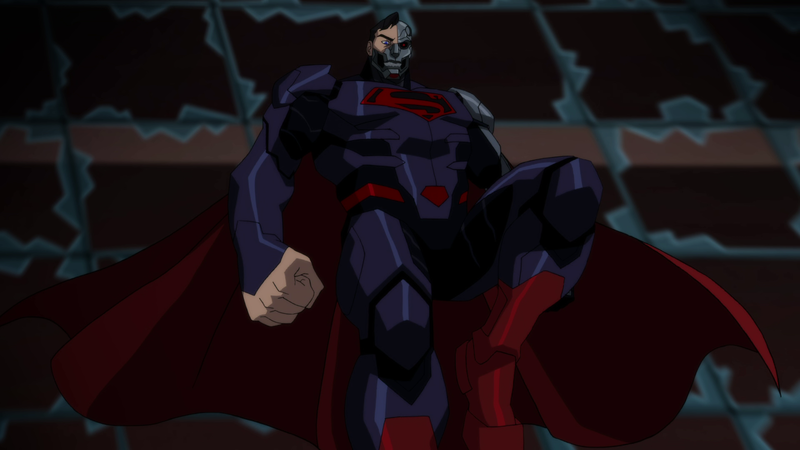 Overall, Reign of the Supermen might not be a strong follow up to The Death of Superman and probably middle of the pack amongst the others within the connected DC Animated Universe, but it is pretty entertaining with some great animation and somewhat of a nostalgic feeling for anyone who kept up with the comic saga back in the 1990s. This 4K UHD/Blu-ray combo pack includes good video and audio transfers and a so-so selection of bonus material.